Continuously verifying the integrity of the ground system is critical to an effective ESD protection program. Using specialized impedance sensing technology, the ACM0, ACM1 and ACM2 single wire wrist strap monitors continuously check the total ground loop, including the operator, the wrist band and the coil cord. The systems are compatible with most single wire wrist straps. Monitors the wrist strap ground integrity of one operator. Uses audible and visual indicators. 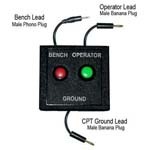 Monitors the ground integrity of one operator including wrist strap and the work station ground. Monitors the ground integrity of two operators (two wrist straps) and one work station ground. 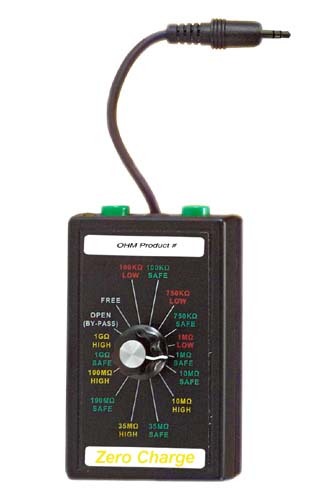 The Periodic Verification Units were developed to periodically verify (if needed) that the ACM Series Constant Monitoring Units are in proper working order. This low cost additions give you a peace of mind when you know that your grounding system is properly and continuously connected. 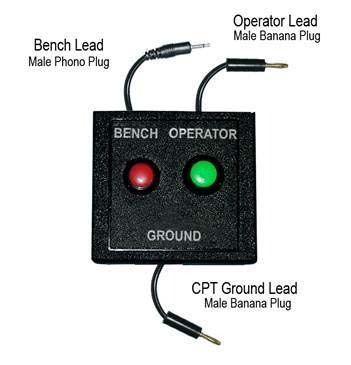 is used to verify that the ACM1 Constant Ground Monitors are in proper working order. 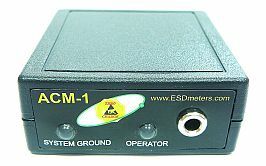 is used to verify that the ACM2 Constant Ground Monitors are in proper working order. is used to verify that the A2CM2 Dual Wire Continuous Resistance Monitor are in proper working order. Accuracy and reliability are improved with the impedance technology incorporated into our constant monitors. False alarms disappear and adjustments are not necessary. Powered and grounded by an AC adapter, the system is fully automatic and begins sensing when a coil cord is plugged into the unit. 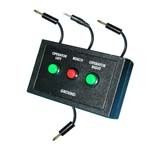 A green light indicates a safe connection and a red light and audible alarm communicate an unsafe connection. ESD-S1.1 Standard notes that it is not necessary to test wrist straps daily when using constant monitoring systems. Higher value-added products especially benefit from the certainty of continuous monitoring. The ACM0 , ACM1 and ACM2 are perfect solutions for assuring workstation grounding constant monitoring.